Our students are housed in a beautifully remodeled and comfortable dormitory, the best of its kind in León for the first 7 days of the program. The dormitory is equipped with individual and double rooms, Conference rooms, a dining hall, and a student lounge. It is centrally located and a few steps from downtown and most places of interest. Since everything is within walking distance of the dormitory, going to the stores, the market place, the bakery, the ice cream shop and the restaurants where our students are forced to order in Spanish, it is considered as doing field work. All these places become a natural extension of the classroom. The main entrance of the dormitory is supervised by a concierge 24 hours a day. Students are issued identification cards with their names, their pictures, and the dormitory address and phone number. This I.D. card is presented and left with the supervisor on duty when entering the dormitory. The card is returned to the student upon exiting the dormitory and is to be used as an I.D. in the city. This system is very efficient in safeguarding the security of the dormitory and is an effective tool to determine whether the students are in the dormitory or not when there is a call or someone is looking for them. 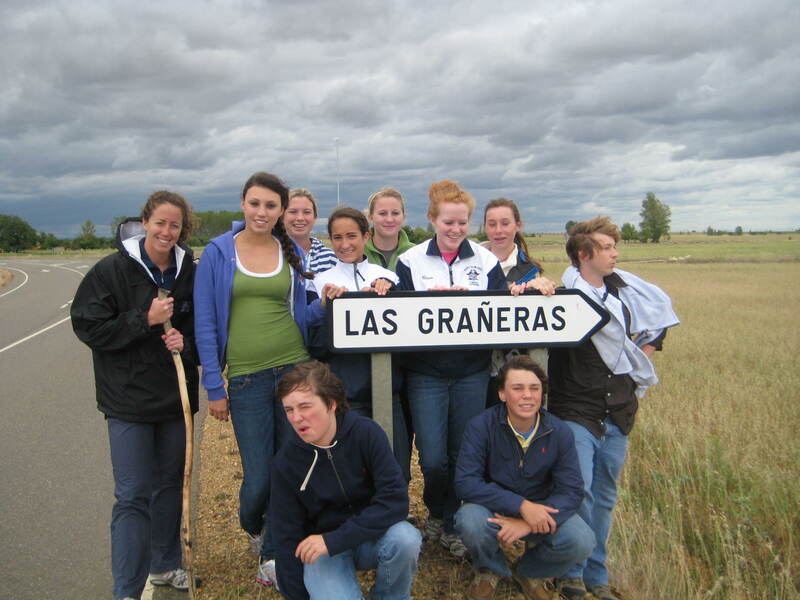 When we begin the Camino de Santiago portion of the program, students will be staying in “casas rurales” which are beautiful country Inns that are run by families. 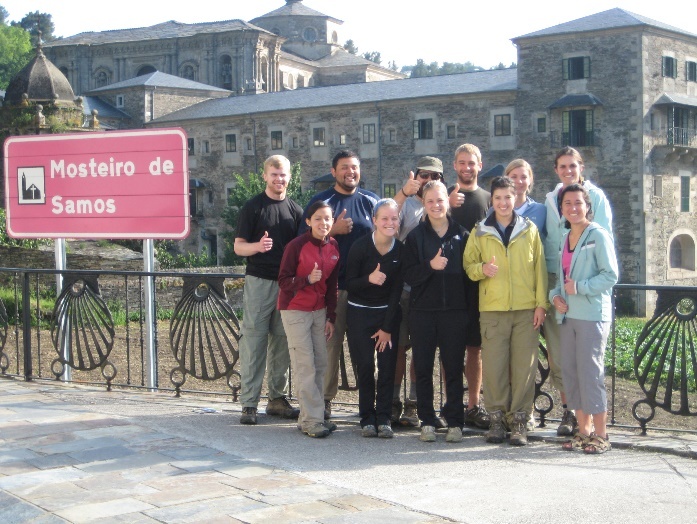 This type of accommodations ensures that the students will be exposed to family life and be able to participate in activities as they relate to pilgrims walking the Camino. All meals are served in the residence, except during excursions and special occasions when students dine in local restaurants. Breakfast is served from 8:30AM to 9:00AM, lunch from 2:00 PM to 3:00 PM, and dinner from 8 PM to 9 PM. Meals are habitually taken much later in Spain than in any other country in Europe; therefore having “tapas” (snacks) in between meals is a very popular Spanish tradition. The food in the dormitory is varied and well-presented. Fresh salads are served both at lunch and at dinner, accompanied by pasta, potatoes, vegetables, or beans, with steak, chicken or fish. You are greeted at the airport by your bilingual Tour Director, who will remain with you throughout your stay. Transfer with a stop for lunch. We travel 350km North to the region of Castilla y Leon. This region is known for its’ mixture of mountains, flat lands, forests and fields of wheat. The monumental and artistic heritage of the province includes the Romanesque, Mudéjar, Gothic and Plateresque styles, all of which grew up alongside the Pilgrim’s way to Santiago. Today you will arrive in the city of Leon where modern conveniences and most technology are always at your fingertip. On the first day, students will participate in a brief morning orientation of the Language School in Leon followed by a walking tour of the city, led by our local art historian. 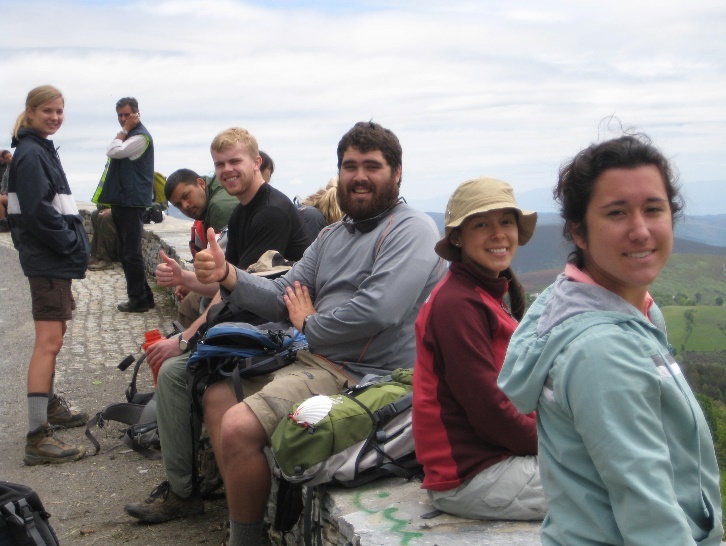 Begin Spanish Classes – Students learn to speak and practice the lively Spanish language with lessons that focus on comprehension of everyday situations, such as going to the market or shopping, ordering in a restaurant, talking about current events and by just becoming a participant in this new environment. A beginner knowledge of the language is recommended however is not necessary. We have found the combination of classroom structure along with outdoor activities that compliment and reinforce language acquisition to be fun and very productive. 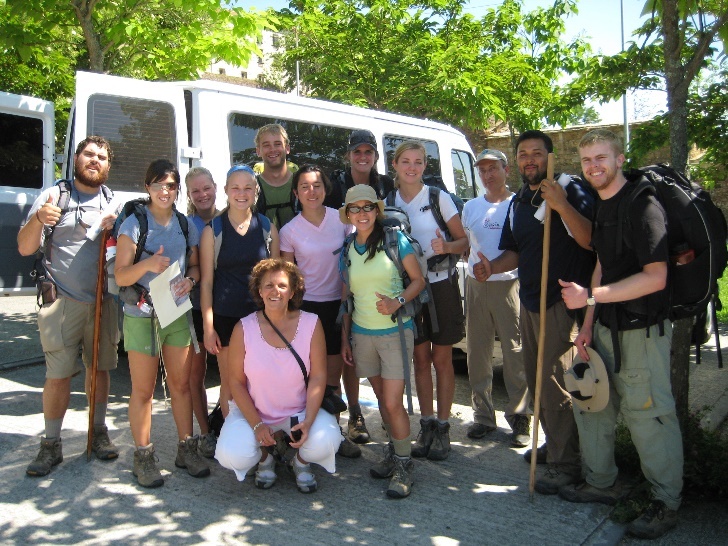 Our “walk across Spain” along the last 100 kilometers of the Camino de Santiago offers all the components that a young person looks for in learning experience; it’s practical, easy and fun. All accommodations along the Camino are country houses and small hotels where the owners, usually a family, are always present to provide a high standard of quality and service and more importantly, a great deal of TLC. Give us your winter, spring, or summer break dates and we’ll create your guided tour to fit your time off!